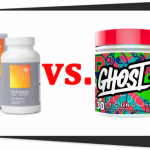 GNC BEYOND RAW LIT vs. Performance Lab SPORT Pre-Workout presents a face-off between two top-notch pre-workout products for people who want to get great muscle pumps and optimum overall health. GNC BEYOND RAW LIT is a superior formula which aims to improve your workout by providing clinically-dosed ingredients. 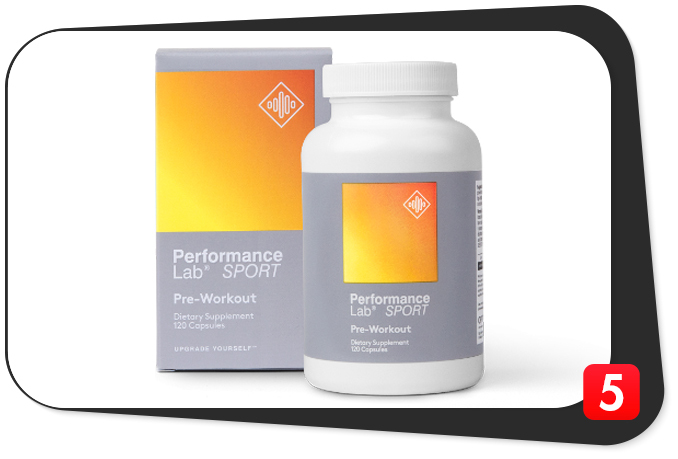 Performance Lab SPORT Pre-Workout improves your physical performance while enhancing your muscles’ health. Is one superior to the other? Let’s find out in this review. GNC BEYOND RAW LIT and Performance Lab SPORT Pre-Workout are both premium formulas for clean physical performance enhancement and muscle development. 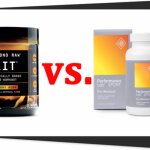 How are GNC BEYOND RAW LIT and Performance Lab SPORT Pre-Workout formulas similar? You can find l-citrulline in both Performance Lab SPORT Pre-Workout and GNC BEYOND RAW LIT (it’s one of the best pre-workout supplements for vascularity because of its ability to ramp up nitric oxide levels). The form is identical. However, these formulas provide different dosages of the same ingredient (GNC Beyond Raw LIT has three grams per serving; Performance Lab SPORT Pre-Workout has just 500 milligrams). In addition, these formulas also feature superior forms of creatine. GNC BEYOND RAW LIT and Performance Lab SPORT Pre-Workout also provide different dosages for their premium forms of creatine (the former has 1.5 grams per serving while the latter has one gram per serving). How are GNC BEYOND RAW LIT and Performance Lab SPORT Pre-Workout formulas different? Both GNC BEYOND RAW LIT and Performance Lab SPORT Pre-Workout provide sodium. However, the latter provides a better source of sodium (Himalayan pink salt) and a better dosage (140 milligrams per serving), too. On the other hand, GNC BEYOND RAW LIT provides a higher dosage of creatine (it has 500 milligrams more creatine per serving). However, it is a generic form of creatine monohydrate. On the other hand, Performance Lab SPORT Pre-Workout provides a premium and branded form of creatine (Creapure® pH10). Therefore, Performance Lab SPORT Pre-Workout provides the better form of creatine and the dosage is enough to deliver significant results. GNC BEYOND RAW LIT and Performance Lab SPORT Pre-Workout contain the same form of l-citrulline. However, GNC BEYOND RAW LIT provides a mega dose of the same ingredient (three grams per serving). Performance Lab SPORT Pre-Workout provides enough L-Citrulline (500 milligrams per serving) to deliver its health benefits (increased nitric oxide levels and muscle pumps). Performance Lab SPORT Pre-Workout is the better supplement because it provides premium ingredients in potent dosages. Its superior ingredient combination of is safe and effective. In addition, its ingredients even work together to create a synergistic effect. It doesn’t contain stimulants to help increase your energy – that is why there is no need to hide ingredients in shady proprietary blends. On the other hand, GNC BEYOND RAW LIT provides more ingredients than Performance Lab SPORT Pre-Workout. However, not all of these ingredients make a huge impact on your body. Some ingredients are essential nutrients, but they are not as potent as the premium ingredient forms of Performance Lab SPORT Pre-Workout. Even though GNC BEYOND RAW LIT provides higher dosages for its ingredients, not all of them are entirely bioavailable. Clean Label No. Other ingredients include: Natural & Artificial Flavors, Citric Acid, Malic Acid, Sucralose, Acesulfame Potassium, Soy Oil and Lecithin Blend, Calcium Silicate, FD&C Red # 40, Shellac, Hydroxypropyl, Methylcellulose, Sorbitol, Glycerin, Acetylate Monoglycerides, Polysorbate 80, Potassium Sorbate, Magnesium Silicate Hydroxide. Yes. Other ingredients include: Plantcaps® Pullulan Capsule, NuFlow® Rice Concentrate. Advanced Delivery No. Plain flavored powder. Yes. Plantcaps® Pullulan Capsule. GNC BEYOND RAW LIT contains several ingredients of notable quality. However, it contains a lot of supplement additives and artificial ingredients which might affect your health with long-term use. On the other hand, Performance Lab SPORT Pre-Workout contains an equal amount of ingredients of remarkable quality. In addition, its entire formula is clean. Performance Lab SPORT Pre-Workout comes in an all-natural capsule (which is also an advanced delivery system). It helps your body absorb its ingredients as it amplifies the benefits of each ingredient. This bodes well for overall results. If you are worried about crashes or jitters, you won’t have a problem with Performance Lab SPORT Pre-Workout because it is a stimulant-free supplement. No need to fret about side effects which have ties to caffeine or any other stimulant. These prices are from the supplements’ official websites in 2018. If you want to shop around for a better deal and save a few dollars on GNC BEYOND RAW LIT, you can buy this formula from GNC stores, Amazon, and Bodybuilding.com. These stores may or may not have better prices for GNC BEYOND RAW LIT. On the other hand, you can only purchase Performance Lab SPORT Pre-Workout from the manufacturer’s official website which you can check out here. GNC BEYOND RAW LIT provides you a good N.O. boost which is essential for good muscle pumps during your workout. It also increases your energy and alertness because of the presence of caffeine, which comes in two forms (caffeine anhydrous and NeuroFactor™ Coffee Fruit Extract). If you want straightforward benefits of a pre-workout supplement, then the benefits of GNC BEYOND RAW LIT should suffice. It contains effective ingredients which are also of good quality. Just remember that this formula contains caffeine which might cause unwanted side effects. On the other hand, if you are after physical performance enhancement and muscle health benefits without a stimulant, then you might want to shell out a few dollars to get Performance Lab SPORT Pre-Workout. In terms of pricing, GNC BEYOND RAW LIT is cheaper than Performance Lab SPORT Pre-Workout. The former delivers good pre-workout supplement benefits if you take it correctly. If you just want a pre-workout which contains a good amount of caffeine and other nutrients, GNC BEYOND RAW LIT should meet your expectations. 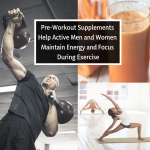 It is worth the savings since it gives you the benefits that you expect from a pre-workout supplement. 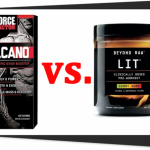 GNC BEYOND RAW LIT vs. 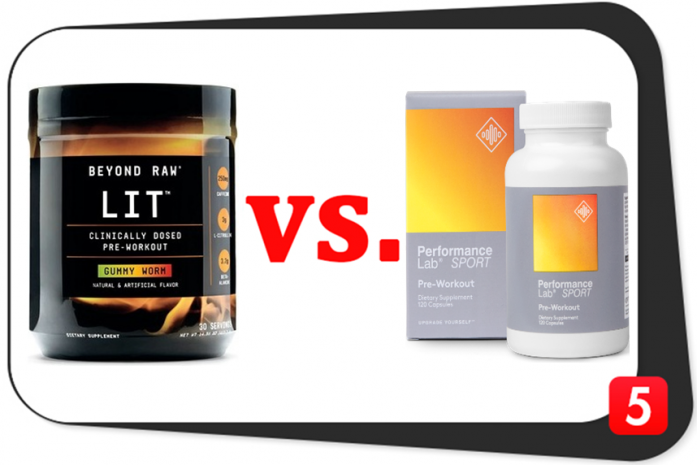 Performance Lab SPORT Pre-Workout: Which is Better? Performance Lab SPORT Pre-Workout is the better supplement. Its formula has the better nutrient combination with a synergistic effect. In addition, it boasts of several high-quality and safe ingredients. Performance Lab SPORT Pre-Workout does not contain a stimulant, so it doesn’t have the side effects which have links to caffeine. Moreover, Performance Lab SPORT Pre-Workout has an advanced all-natural delivery which ensures the effective absorption of its ingredients. While Performance Lab SPORT Pre-Workout is slightly more expensive than GNC BEYOND RAW LIT, it gives you more health benefits even with long-term use.